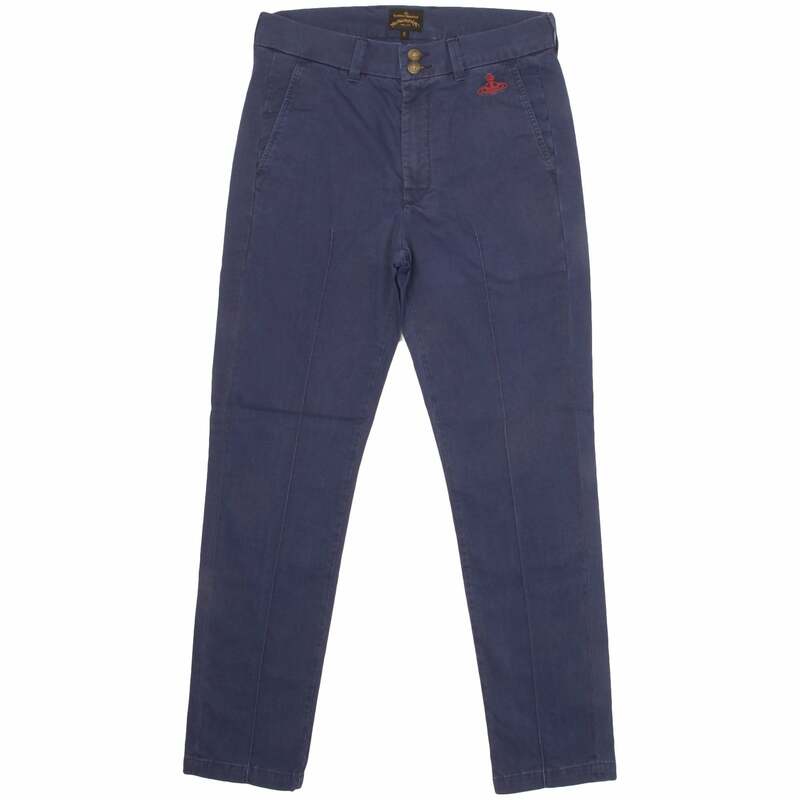 The Vivienne Westwood Anglomania Classic Chino is detailed with a four pocket design and a classic stitched crease leg, crafted from cotton twill with a touch of elastane for a comfortable, slim fit. Featuring a zip fly and two button fastening, these versatile trousers come with belt loops for a classic look and the signature Westwood Orb embroidered to the front in contrasting white stitching. Perfect with a PS by Paul Smith Shirt.